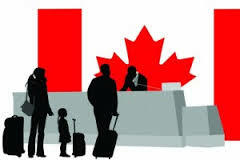 For the 10th time since its introduction on January 1st, 2015, Canadaâ€™s Express Entry application management system has resulted in invitations to apply being issued to candidates with less than 600 CRS points. This most recent draw, which resulted in invitations to apply being issued to 1,523 candidates with a CRS score of 456 or more (from 471 last August 7), shows that a candidate with no Canadian work experience, job offer or Provincial nomination in Canada can obtain an invitation to apply under the Express Entry system. IELTS General â€“ minimum score of 6 in each band. Interested applicants may visit our office nearest you. We have offices in Cebu, Pampanga, Quezon City, Manila and Naga City, Bicol Region. Our newest office in Bagui will open this Sept. 1, 2015. Please visit the Contact Us page of this website for details. You may email also your answers to the questions below to aureusmanpower@hotmail.ph subject â€œCanada Migrationâ€for free preliminary assessment. 6. What is your age and date of birth? 18. Your present work location.